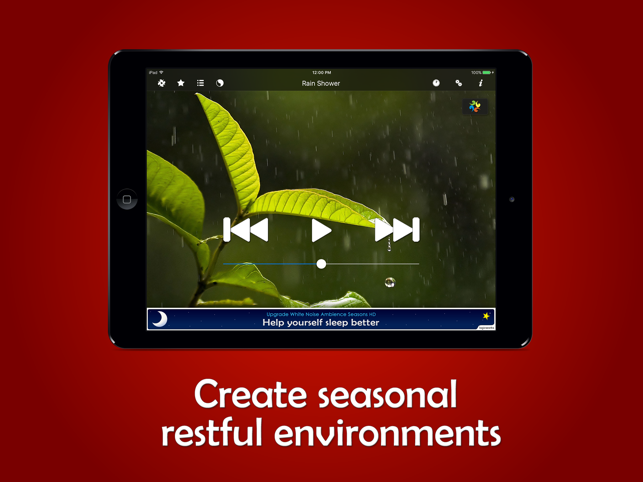 White Noise Ambience Seasons HD Lite allows you to experience any season at any time. 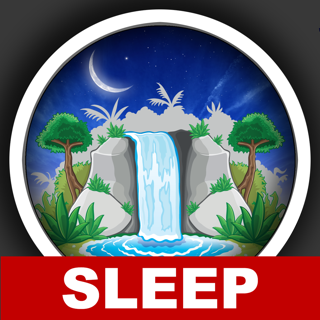 We designed the app to help you sleep soundly in environments that can be problematic for restful sleep. Just read our reviews and to see how many people are sleeping better since they started using White Noise Ambience Seasons HD Lite. 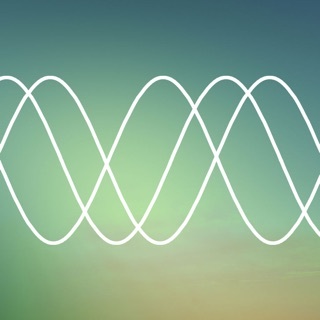 Includes high-quality looped sounds such as Spring Peepers, Ocean Surf, Walking On Leaves and Electric Heater. - 24 High Quality Seasonal Sounds. 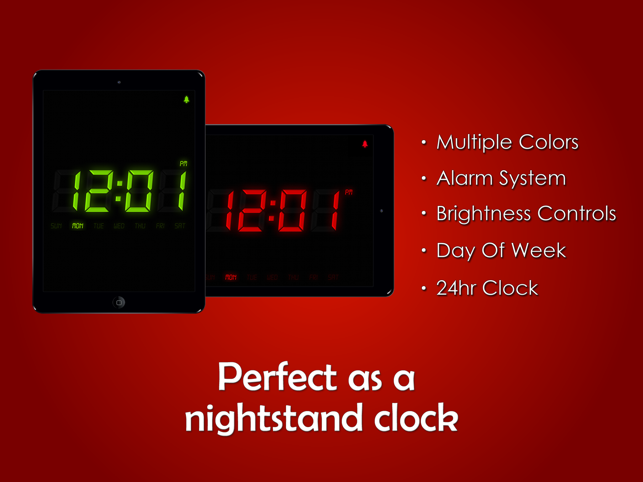 - A Digital Clock with multiple colors and brightness controls. - Alarm System with Fade and Snooze. - Sound Timers: Stop the audio at your discretion. 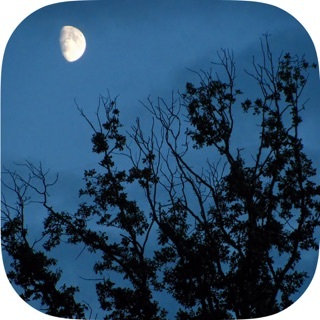 - Swipe Navigation: Just swipe left or right to navigate. Spring Peepers, Rain Shower, Lawnmower, Spring Garden, Spring Meadow, River Rapids, Ocean Surf, Cicadas, Barbecue, Summer Garden, Irrigation Sprinkler, Summer Storm, Rainy Day, Walking On Leaves, Leaf Raking, Wind On Leaves, Driving In Rain, Wind Chimes, Walking In Snow, Electric Heater, Icicles Dripping, Icy Waterfall, Blizzard and Ice Cracking. - NO ADS!!! - More Sounds! 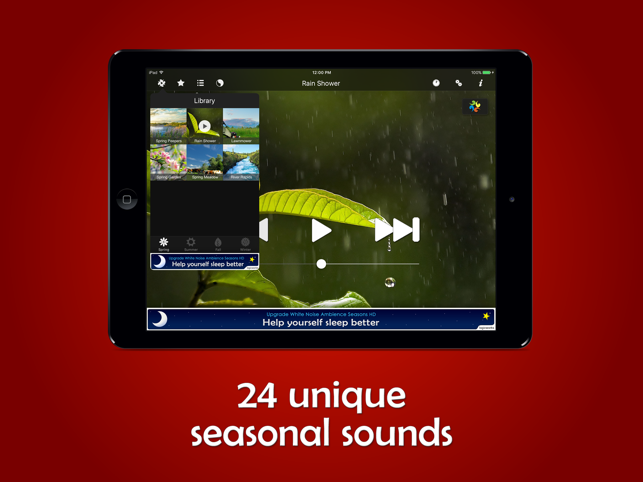 Choose from a total of 48 high quality, relaxing sounds, including Robin In Rain, Spring Meadow and many more. 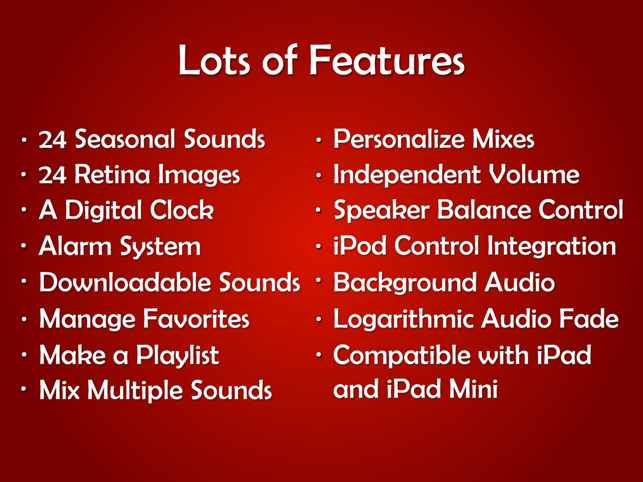 - More Digital Clock Options! 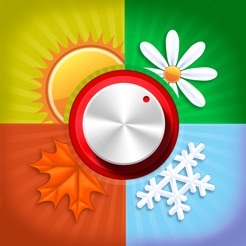 - Choose from 3 different clock styles, with multiple colors. - More Alarms! Create more then 4 alarms. or run it in the foreground with the screen on to access all alarm functionality. - Fade-in, available when the app is running in the foreground with the screen on, causes the alarm to gradually take over the playing sound. 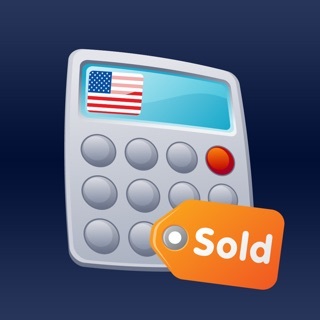 - Separate Volume, available when the app is running in the foreground with the screen on, allows you you set a volume for the alarm that is independent of the global iPhone volume controls. - Snooze, available at all times, allows you to set your alarm with a snooze option. 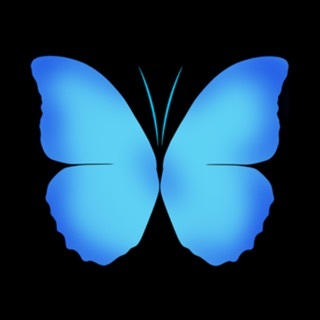 - Audio Functions, available when the app is running in the foreground, allow you to choose whether the playing White Noise Ambiance Sound stops when you close the alarm. - Added Alarm icon to the clock. 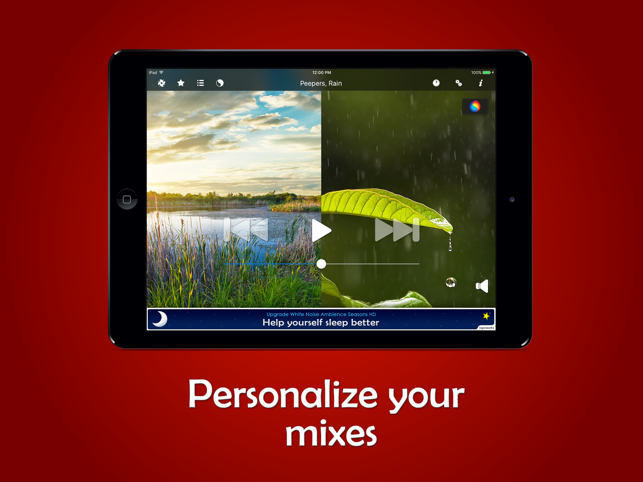 Love the flexibility of this FREE app! Allows me to mix sounds. A wide variety of high quality sounds, and I can add in my own music playlist. Can't believe it is free! Highly recommend!